Giant difference between a recently graduated 18 year old HS basketball player playing a "mostly" non-contact sport with grown *** men and that same 18 year old going up against 25-30 year old guys who have been physically training at a much higher level and now get to hit them. It's already a steep curve for HS to College and College to Pro... Pretty sure when they run the numbers we're even seeing less NFL teams draft guys who have only been in college 3 years as well. It's just counterproductive for what they want, which is a close to fully developed athlete that they can plug and play... less than .00000001% of football athletes are ready for that kind of work at 18. But dude college is unfair so like players will start protesting and go into the NfL right after highschool. You'll see. I gurantee he won't even try to explain his side. He loves to spout off stupid **** then disappear. 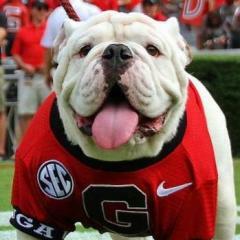 UGA plays at auburn tonight.. auburn was spanked by kentucky in their last game. Yeah and even most of the players who get drafted don’t go on to actually have NFL careers worth bragging about. The NFL wants absolutely nothing to do with high school players. “College football” has no choice or voice in the matter. If anything, the NFL may invest into the AAF as a true minor league. AAF has already talked about killing the 3 year rule for entry into their league. Could work for the stud players who have no interest or business being in college, but it’s not going to change things very much. Roster space is still very limited and the vast vast majority of football players are not going to risk their scholarship eligibility for that league. It’s going to fill up with guys who get cut from the NFL. College basketball and football are two totally different animals anyway. I wish people would stop comparing them when it comes to the entry rules. Basketball is an entirely different sport from football. And the NBA has to find their sweet spot on the age thing because UNLIKE football, where there is only the NFL and CFL... in basketball, there are popular leagues all over the world, dudes can and do just go make a bunch of money playing overseas. With the exception of Claxton, I think Crean was right about this group. 6 seniors leave. We can jettison the juniors all I care. Glad I backed off going to see them against Missouri then this is one of those lost seasons, and honestly they played like it throughout the year. I believe in Crean, and can't blame him for what Mark Fox basically left him with. They have been playing hard, I’ll give them credit for that. We just aren’t very good, especially with closing out games. So many close losses. chant: JUST LIKE FOOTBALL JUST LIKE FOOTBALL!!! 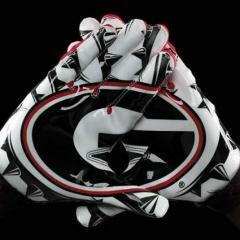 LOL The Dawgs take down the gators!! That’s a hot take right there. The second signing period starts on April 17. So we're stockpiling SFs? We need some bigger bodies on the inside. Watching the South Carolina game. This team lacks passion. Can't blame it all on the players. Seems like Crean is just trying to finish out the year. BS if you ask me. You need to still game plan as if every game counts. Sure, we lack talent, but it's not like we have kids who didn't have any stars next to their names. We're getting blown out almost every game lately (except for UF where the players actually decided to play and TC actually decided to coach) and that's unacceptable. WTF. Yeah. A lot of ups and downs even within games and then games without hustle or passion. 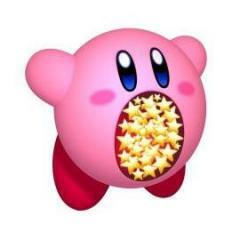 I just hope this is like Kirby’s transition year. Even in Kirby's transition year the kids played like they wanted to be there. This thing we call a basketball team is atrocious. Despite the lack of talent, I expected much more from Crean this year. I hear ya and agree. Wont make a total judgement call until year 3 though. Maybe Crean is just mailing it in this year too. Which once again is disappointing. This is not a Crean roster and the players likely know that. Hes actually been vocal about it. Earlier this year he questioned why he kept the roster he did, later apologizing. That's going to impact the players motivation.